Evan McDonald is a Senior Vice President with Colliers International in the San Diego Region. Evan specializes in the sale and leasing of Industrial/R&D properties with an emphasis in the Central San Diego submarkets. He provides industrial facility solutions on a local, regional, national, and global level for private and institutional clients. Evan has superior market knowledge and experience in all aspects of the commercial real estate cycle. He has provided his clients with the highest level of service excellence, successfully helping them achieve their individual business and financial goals. He has proven that persistence and hard work are the foundation for trust and long-term relationships, which has built him a reputation as a top tier commercial broker in his area of expertise. Evan has consistently been one of the Top Producers in the San Diego region year after year. 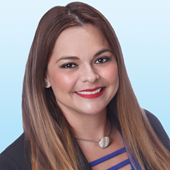 Rose Mancilla has been assisting in sales and leasing of commercial properties within the Colliers organization since June 2011. She is also a California state licensed real estate Salesperson. Rose is involved in business development support; specifically responsible for maintaining all marketing materials, marketing reports and assisting with the production of requests for proposals and requests for qualification submittals. In addition, Rose provides graphics, print design, and desktop publishing support for marketing and executive team projects and presentations. Taylor specializes in sales and leasing of industrial and flex/R&D properties in Miramar, Kearny Mesa, and surrounding markets. He is responsible for assisting with his team's new business development, focusing on prospecting efforts through face-to-face interaction with tenants and owners. 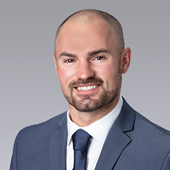 Taylor's prior experience comes from working as a Leasing Associate for an institutional landlord, focusing exclusively on multi-tenant industrial properties.